I also really hope that the caramel marshmallow log is real. 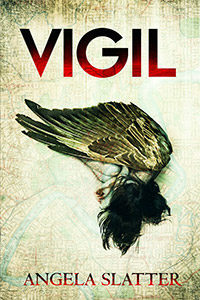 This entry was posted in News and tagged angela slatter, hachette australia, jo fletcher books, urban fantasy, Vigil. Bookmark the permalink. A friend of mine just recommended this book, but when I went to Amazon to buy it, it was listed as “Currently unavailable.” What’s up? When will it be available again? Hi, Dan. Don’t where you’re trying to order from. It looks to me as though it’s available for pre-order in Australia and the UK. It’s not released until 7 July.